Hey everyone! 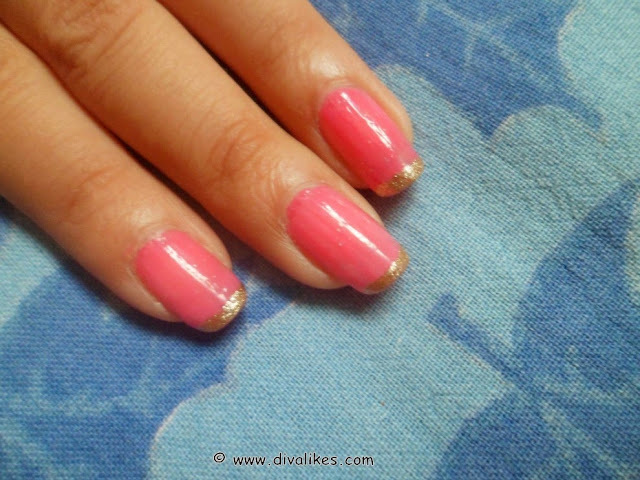 I am back with a new nail art tutorial which is very easy to do. After you all liked my previous post on Leopard Print Nail Art Tutorial, I thought I should come up with an even more easy to do tutorial which doesn't require any rocket science. 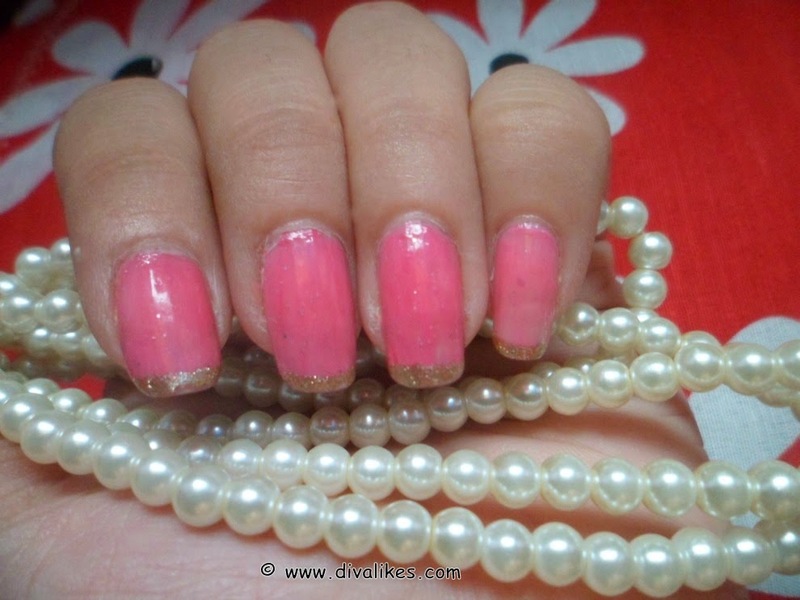 One nail art style that rules the nail art world is the French manicure style. In the past, French manicure used to be the style that you could achieve only in the salons. But now-a-days we have many French manicure kits and various techniques so that we can do it on our own comfortably at home. We can even add our unique touch to it. French manicure is a classy style and goes well with everyday look for offices but when there is a party or a wedding, we need to go out of the box and flaunt bold and glittery nails. That is what came into my mind when I wanted to do french manicure for myself. So I came up with Glitter Tips French Manicure where I combined the elegance of a French manicure with the glam and gorgeousness of glitters. Start off by sticking a piece of tape on the edge of your nails. You can choose the breadth as per your wish. I did very narrow tips here as I like it that way. Make sure the tape is lined up evenly on each nail. 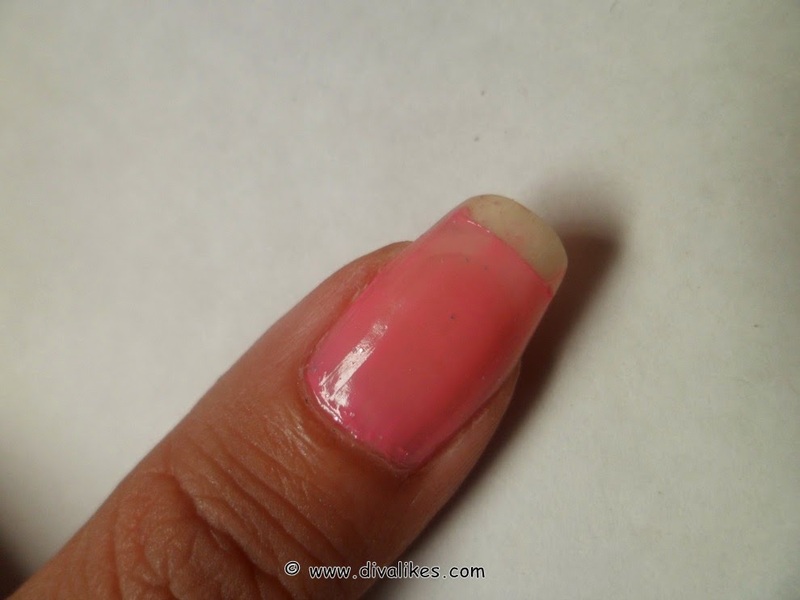 Apply two coats of your favorite base color on the nails. Let it dry completely before removing the tape. 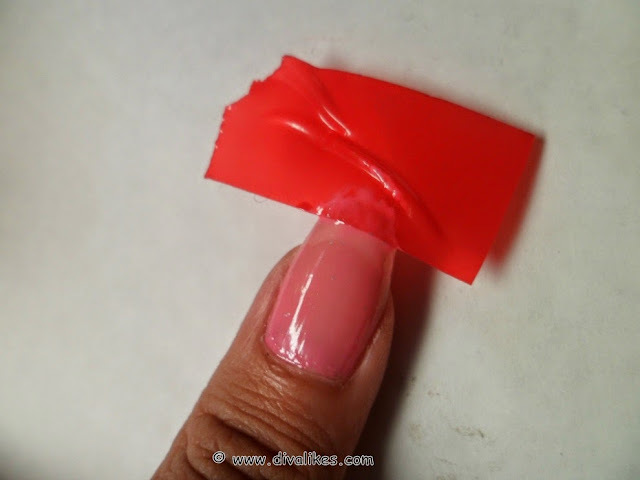 After the nail color gets dry, peel off the tape slowly and carefully. Then apply glitter paint on the tips evenly. Make sure the glitter paint does not smudge with the base paint. You need to be very careful in doing this. Let the glitter paint dry and then apply a top coat over it. 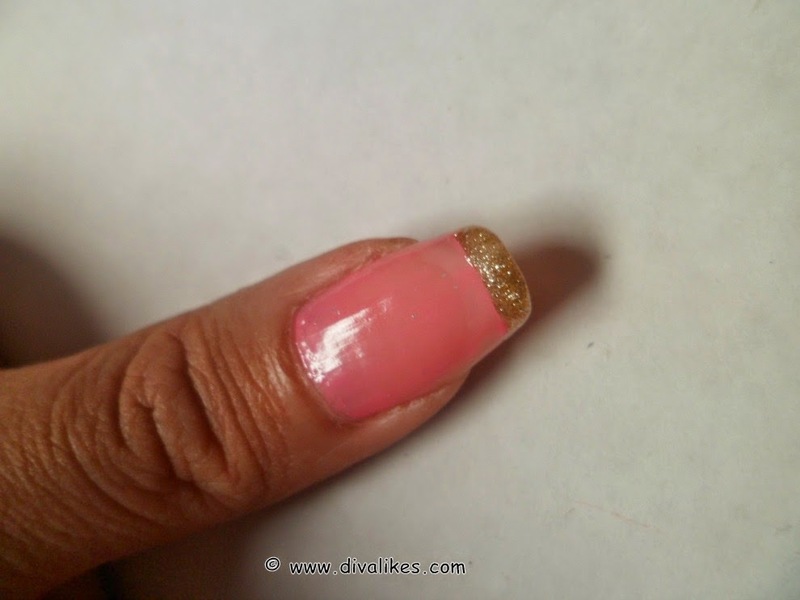 The easy peasy Glitter Tips French Manicure is now done to add the beauty to your nails. You can mix and match any color of your choice. Now-a-days many shades of glitter paints are available. Let your imaginations run wild and get yourself a French manicure with a twist. I will be back with a new nail art but till then do try this. Really Preeti its vry easy do try it dear..